How to add additional Employee Fields? Need additional fields for the employees information? No worries! 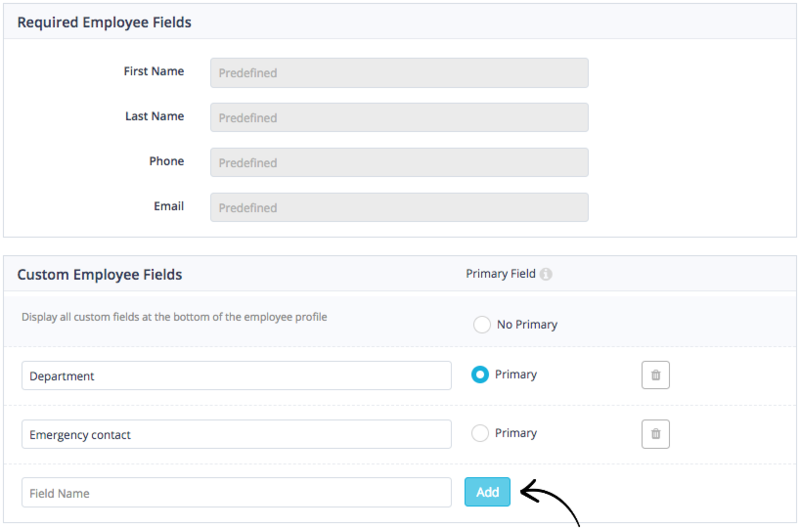 We have you covered with our employee fields, see more below on how to enable this feature. Firstly, log in to the SwipedOn web dashboard. Navigate to the 'Settings' tab on the left of the screen. Within the 'Custom Employee Fields' input the additional field question/statement and click on the 'Add' button. 'Primary' can then be enabled on one of the custom employee fields to be displayed on the iPad view. The order these fields display can also be adjusted by picking up and dragging/dropping the fields. Please note, the pre-defined fields in grey cannot be rearranged.